I never found Michael Jackson’s Bad phase convincing, and I can’t imagine anybody else did either. Just the sight of the slight, pretty Jackson in leather-and-chains garb makes me chuckle. And I’m pretty sure Jackson never had a run-in with the sort of predatory groupie he describes in ‘Dirty Diana.’ I’m sure women threw themselves at him — he was the biggest star in the world, after all — but I doubt he was even mildly tempted. 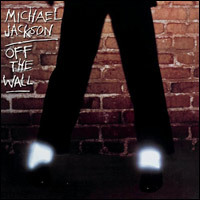 Michael Jackson’s Off the Wall just missed my list of 1980 albums, having been released with a few months left in 1979. I never got to know this album very well, unlike its 1982 follow-up, Thriller. Thriller is an album that, even at 10 years old, I knew by heart. But Off the Wall might be an even better record start to finish. My #2 album of 1982 may well have been the #1, were it not for a classic record by a personal favorite. But Michael Jackson’s Thriller will have to settle for being the world’s all-time top selling album. All these years later, after Jackson’s many scandals and unseemly death, it’s hard to recall what a fresh and dominating presence he was in the music world. Taylor Swift could only wish for his level of cultural dominance. Here’s a perfect example of YouTube’s effect on the Billboard charts. How does a live version of Michael Jackson’s ‘Billie Jean’ wind up at #14 on the Hot 100 in 2014? Thanks to a viral video, of course. High school junior Brett Nichols performed a dance routine to ‘Billie Jean’ in front of a packed gymnasium and footage of the performance spread across the web like wildfire. I’m not a fan of overtly political songs in general, but I’m somewhat willing to give them a pass if they have some nuance. But painfully earnest “make the world a better place” songs — yuck! Michael Jackson’s ‘Man in the Mirror’ is the epitome of the genre, so much so that it actually contains the lyrics “if you want to make the world a better place.” And it is painful to sit through. The 25th anniversary re-release of Michael Jackson’s Thriller features a series of bonus tracks on which Jackson’s original tracks are re-mixed and turned into duets with performers such as will.i.am, Akon, Kanye West and (in today’s SOTD) Fergie. First of all, I hate the idea of a “duet” with a dead person. I hated it when Natalie Cole sang with old Nat, and I hate it here.